Produced by Mark Weinstein and Aruan Ortiz. Recorded, mixed and mastered by Phil Ludwig, Sonic Park and Seclusion Hill Music. Flutist Mark Weinstein has distinguished himself over the course of a long career going back to the ‘60s as a prolific and accomplished performer with a special affinity for Cuban rumbas and charangas as well as Brazilian sambas, bossa novas and choros. But there is nothing as daring and profound in his 18 albums as a leader as Latin Jazz Underground. A collaboration with the acclaimed rising star pianist-composer-arranger from Cuba, Aruán Ortiz, this adventurous outing organically blends a free jazz sensibility with a churning Afro-Cuban undercurrent. This unprecedented kind of fusion music is intended as both a tribute to the late avant garde icons and important composers Sam Rivers, Andrew Hill and Don Cherry as well as an expression of the classic Afro-Cuban tradition that the Havana-born percussion master Román Diaz comes out of. With Gerald Cleaver supplying the free drumming element, Diaz fueling the clave groove and bassist Rashaan Carter alternating between a deep tumbao feel and an open-ended free jazz pulse, Weinstein and Ortiz practice an intriguing juxtaposition between discipline and the freedom principle on this stirring experiment. Diaz turned out to be the perfect bridge between both worlds while the Detroit-born Cleaver, who has extensive credits in the free jazz and straight ahead realms as well as leading his own bands Black Host and Violet Hour, was the ideal drummer for this forward-thinking project. Together the five musicians forge a loose-tight aesthetic that has them expertly navigating the intricate heads on compositions like Rivers’ “Dance of the Tripedal” and “Mellifluous Cacophony,” Hill’s “For Emilio” or Ortiz’s “Gregorio’s Mood” and “Tete’s Blues” while still allowing the music to breathe in the highly interactive free sections. The collection kicks off in provocative fashion with Ortiz’s “Gregorio’s Mood,” which has piano and flute locked in unison on the challenging head before the piece opens up to pure rubato exploration. Diaz’s clave groove helps fuel the pulse while his percussive statements add color and texture on the free section. Weinstein stretches in dynamic fashion on his solo, spurred on by Ortiz’s unpredictable and dissonant stabs at the keyboard. Ortiz’s searching, cascading single note lines on his edgy solo here rank with fellow Cuban piano monsters like Gonzalo Rubalcaba and Elio Villafranca. On Don Cherry’s “Open and Close” the quartet comes out of the gate with strict stop-time passages before the piece opens up to unabashed risk-taking. Weinstein rises to the occasion with a remarkable free blowing solo on concert flute. Then as Carter and Cleaver double the pulse, Ortiz takes off on another whirlwind solo that carries the spirit of Andrew Hill, Cecil Taylor, Don Pullen and other jazz piano renegades. Cleaver’s remarkably interactive playing throughout drives the track and Diaz unleashes with some conga flurries over a full band ostinato at its exhilarating conclusion. 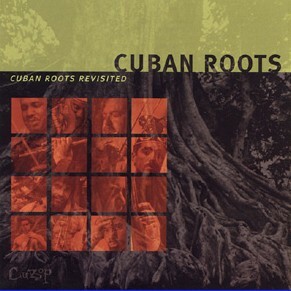 Rivers’ “Dance of the Tripedal” is underscored by a mesmerizing bass ostinato that recalls the Mongo Santamaria classic “Afro Blue.” Ortiz’s comping here is sparse and dissonant behind Weinstein’s commanding flute solo while Cleaver and Diaz meet in that perfect place that bridges avant garde and the clave. And Ortiz again summons up a deluge of pianistic fury against the pulse. Weinstein switches to bass flute for the reflective Hill composition, “For Emilio.” And even in this calmer setting, Ortiz’s potent note choices are so personal and wholly unpredictable. Diaz’s clave pulse informs Ortiz’s forcefully grooving “Tete’s Blues.” Says Weinstein, “He puts it in your face just to show that no matter what the time signature is, there’s a clave living underneath it.” Once again, piano and flute join together on tight and challenging unisons through the head before the piece opens up to a kind of avant blues form that showcases more inspired soloing by both Ortiz and Weinstein. For a darkly evocative rubato rendition of “Nature Boy,” Weinstein carries the mournful melody on alto flute. He switches back to concert and bass flutes for a romp through Rivers’ “Mellifluous Cacophony,” which again showcases the juxtaposition of discipline and freedom. 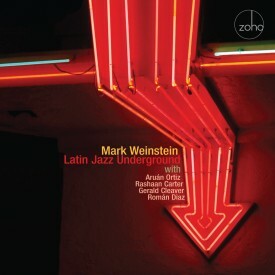 And on the aptly-titled “Mark’s Last Tune,” the flutist engages in a wide open conversation upfront with drums, bass and percussion before Ortiz enters and the piece develops into a simple ii-V sequence against a lilting Afro-Cuban 6/8 pulse to end the collection on an upbeat, lyrical note. He succeeds mightily on all levels with the intriguing, envelope-pushing Latin Jazz Underground.